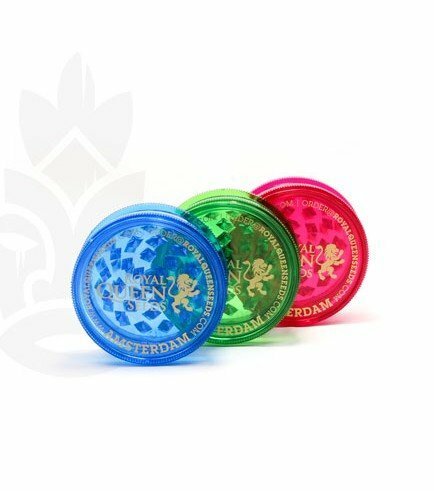 The Royal Queen Seeds Acrylic Grinder is an affordable, straightforward grinder that won’t let you down! This 2-part grinder has a small compartment under the lid which can hold a small stash as an added feature. 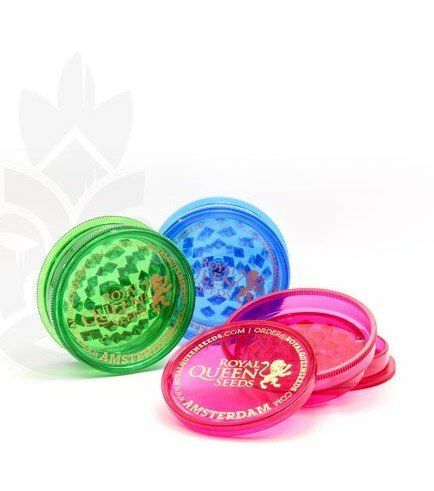 It comes in three colours, red, blue or green, and has the Royal Queen Seeds logo printed on top.